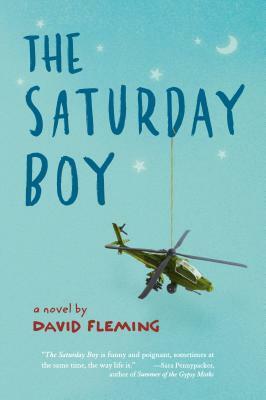 In this blog I wanted to share my experience of reading David Fleming’s novel “The Saturday Boy”. I planned to read a chapter or so at a time, and to add to this blog along the way. “If there’s one thing I’ve learned from comic books, it’s that everybody has a weakness—something that can totally ruin their day without fail. For the wolfman it’s a silver bullet. For me it was a letter. It turned out that this was a novel I read very quickly. Once I started reading it was no holding back, neither the number of pages nor the tears… So, you know; it’s that kind of book!